So before it’s time to post more content about tennis racquets and strings, I wanted to give you a personal update on what’s going on and also an invite to send over questions that might become posts. Some of the questions I receive can be useful for a lot of players so if possible keep them open so I can either reply on social media or in the comments field. In some cases I’ll turn a bunch of them into a post. As some of you might know, I’ve moved back to Malta again after nine months in Stockholm. This means less indoor tennis and more outdoor footage. Racquet shipping might be slightly more complicated/expensive for the racquet manufacturers to send me review samples, but I hope it won’t affect the racquet reviews coming in any big way. I’m preparing to play more tournaments in 2018 and this is why I’ve committed to using the HEAD Liquidmetal Radical Tour for match play and although I’ve enjoyed recent tests from Luxilon Alu Power Ice, MSV strings and RS Paris Octagon, but for now I play my best tennis with Solinco Hyper-G strings. Although I’ll keep testing to find that extra edge (and because it’s fun of course!). The K7 Red is definitely a flexible frame and you feel the flex more and more when you hit with it. This makes it supremely comfortable, but it doesn’t mean it will work well for your game. Some players don’t like flexy racquets at all and then the K7 Red would be a no-go. A crisper version of the K7 Red would be the Yonex DR 98 , which is also a great racquet. Despite the flex, the K7 Red supplies decent power, so either you need a control focused string (Solinco Hyper-G, Luxilon Alu Power or Volkl Cyclone are all great options) or play a modern game with top spin ground strokes. I added some lead at 3 and 9 and didn’t counterbalance in the handle, because I don’t mind a not so head light balance, but that is of course up to your personal taste. 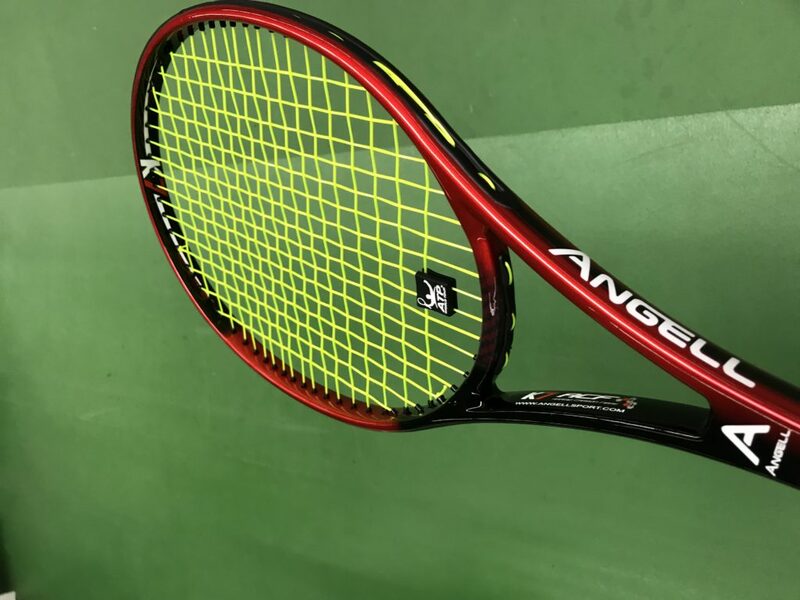 I won’t switch to the K7 Red for competitive play, simply because I prefer 95 sq inch racquets that move faster through the air and am getting in tune with the HEAD LM Radical that I’ve been using for a while. However, if I would go up in head size, it is a top contender for my next racquet. More posts to come on Tennisnerd shortly. We’re looking at the most exciting racquets out recently, the new Babolat Pure Drive series of racquets, we’re looking at more racquet lingo and we’re reviewing more stuff. I like to play next to a farm animals on day. How do you travel whit your raquets.? I resently got stopt in london not alowd raquets as carry on flights anymore! And in US and A they denide me one packet of strings as carryon that was left in my bag. It is certainly an interesting experience to play with roosters, chicken and donkeys! This is what it says on standsted airport websit. Thats wher they took my raquets away frome me when i was on my way to Melbourne. So be carefull in some airports, ther is tennis haters out ther. This includes baseball/softball bats, sports rackets/bats, clubs, batons, night sticks and martial arts equipment.